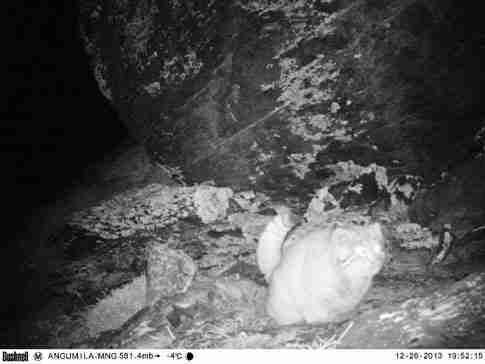 Researchers studying snow leopard populations high in the Himalayas have announced the accidental discovery of a cat previously unknown to Nepal -- a majestic little cat that's at home in the highest mountain range on Earth. The small feline, about the same size as a domestic house cat, was caught on film by various camera traps between 13,000 and 15,000 feet above sea level. On 11 occasions between 2012 and 2013, the cat was spotted prowling the rocky mountainside at night in search of food. "The automatic cameras installed for the monitoring of snow leopards tracked a new species of cat which is hitherto unknown to conservationists working in the Nepal," said Bikram Shrestha, coordinator of the Snow Leopard Conservancy program. "It has no Nepali name for it is completely a new animal to the country. 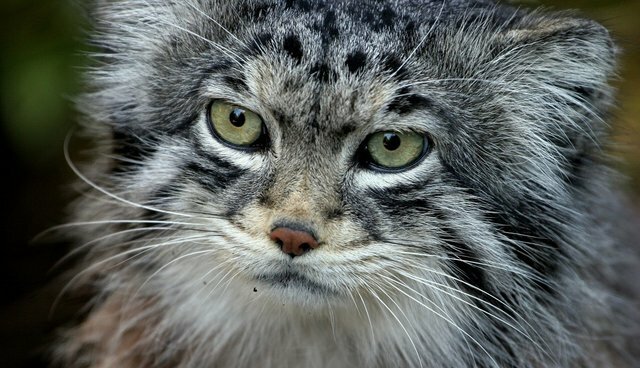 We came to know the new animal to be Pallas's cat after comparing photographs with similar species found in other parts of the world." Other populations and subspecies of Pallas's cat can be found throughout central Asia; they are all listed under the IUCN Red List of Threatened Species. Conservationists are encouraged by the discovery, adding that this early evidence may only be the tip of the iceberg. "Other areas in Nepal also have the possibility of Pallas´s cat," says Shrestha. "So, an in-depth study is needed regarding this new species."